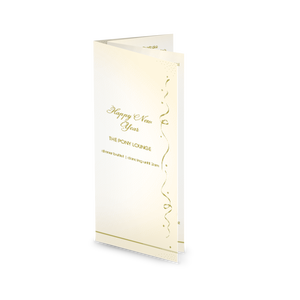 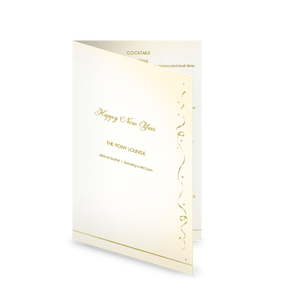 A bright gold New Year's Day menu is festooned with party streamers and confetti. 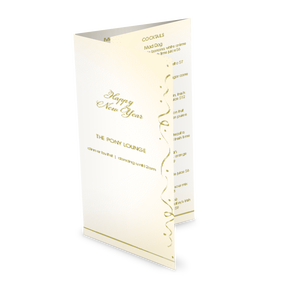 Showcase your holiday event details, dinner specials, or drinks menu with this festive design template. 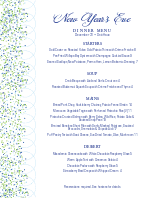 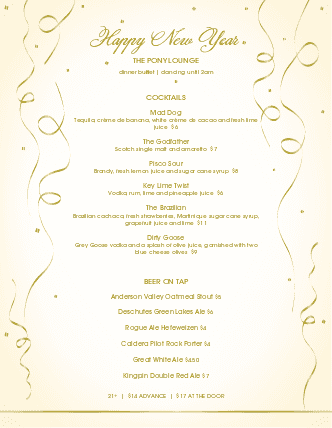 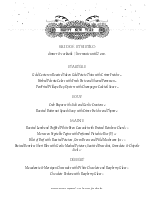 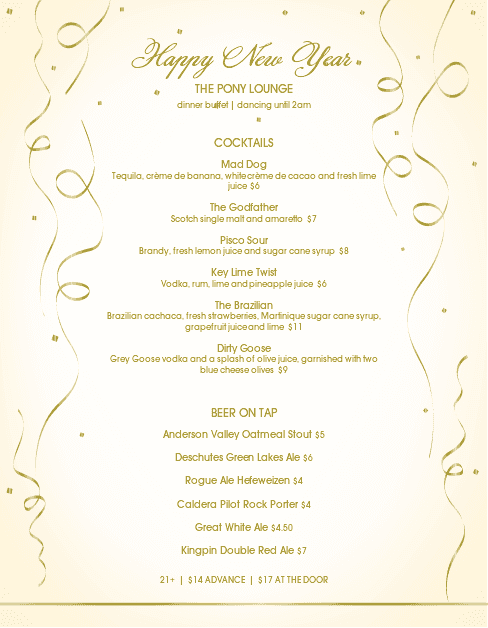 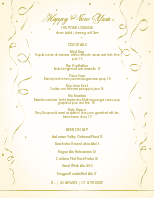 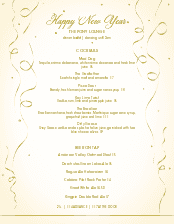 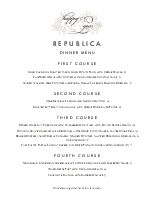 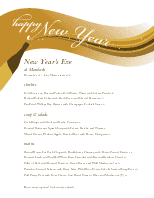 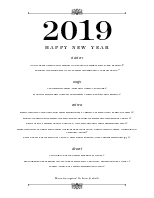 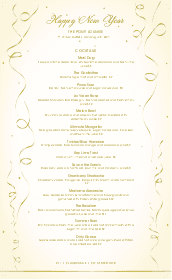 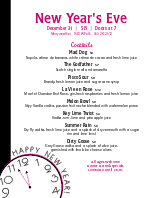 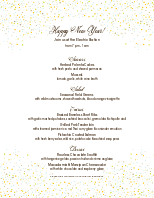 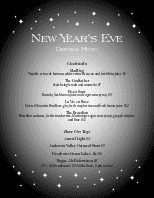 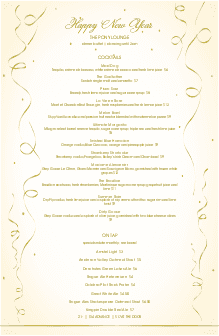 Customize your own New Years Day menu in the online Menu Maker.